Lovely video about the 2011 Nowruz Commission Gala at the Library of Congress with a glimpse of Silk Road Dance Company's program. Our presentation included Persian, Tajik, Kazakh, Kurdish, Georgian, Uzbek, Afghan, and Azerbaijani dances. 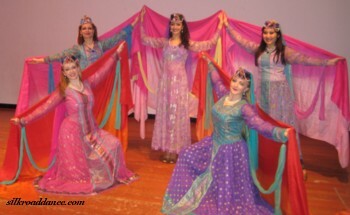 Persian Dance Concert -- Haft Paykar: Seven Beauties -- was featured in an Iranian language publication. 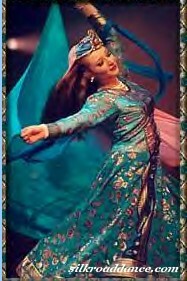 Information on the April 2, 2005 premiere of the folkloric ballet of Laurel Victoria Gray -- Haft Paykar ''Seven Beauties'' performed by the Silk Road Dance Company. 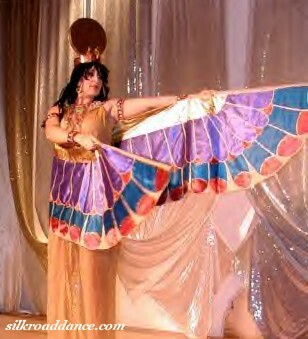 Egypta impressed me as a stunning artistic success, splendid beyond belief. The work can touch your innermost heart and exalt your soul. It is composed of fifteen episodes, alternating ensemble pieces with solos, telling the story of women and the Divine Feminine as the heart of ancient Egyptian civilization. With an overflow crowd in attendance, ''Remembering the Legends'' opened with haunting, evocative music and mysterious fog that hearkened back to the dawn of time. An article from Uzbekistans's official Jahon News Agency about the premiere of "The Golden Road to Samarkand" on November 4,2006,in celebration of the 2750th anniversary of the city of Samarkand. I’m not sure where President George Bush was noon last Wednesday, but I do know where he should have been — watching lovely women performing seductive, might I say entrancing, dances from the part of the world he keeps threatening. Hector and Menchie Veloso lived all over the world and experienced cultures in China, Hong Kong and Singapore.